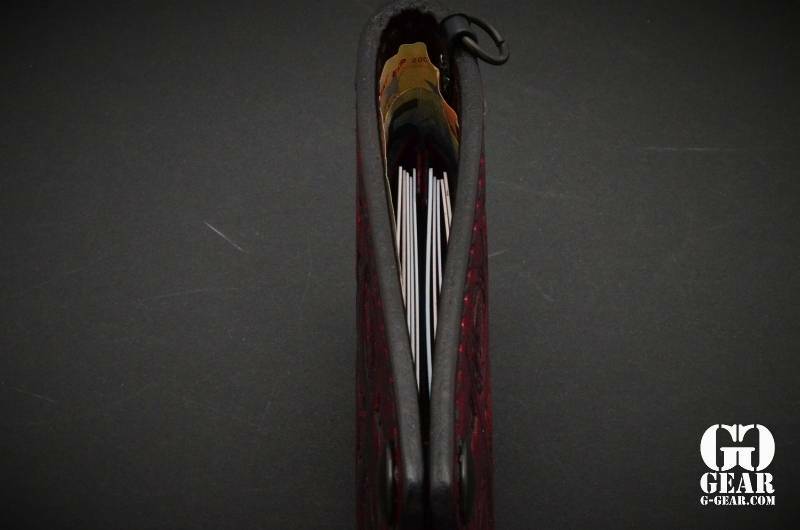 Home / Harp Leather - Leather Wallet "Hammer of Thor"
Harp Leather - Leather Wallet "Hammer of Thor"
Harp is a retired Combat Veteran, who retired out of Ft. Bragg NC as a 1SG with 20 years of service in the Army. 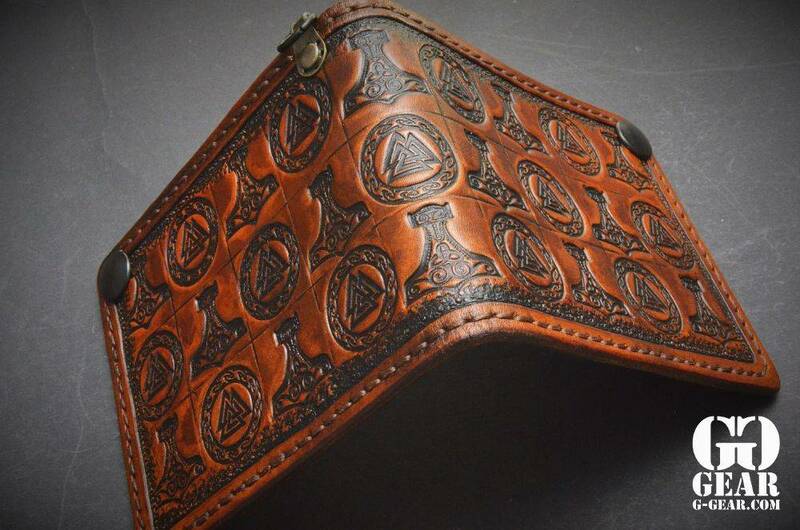 He did a year of contracting in Afghanistan in support of OEF after he retired, and decided to return stateside to turn his therapeutic hobby of leather working into a business. 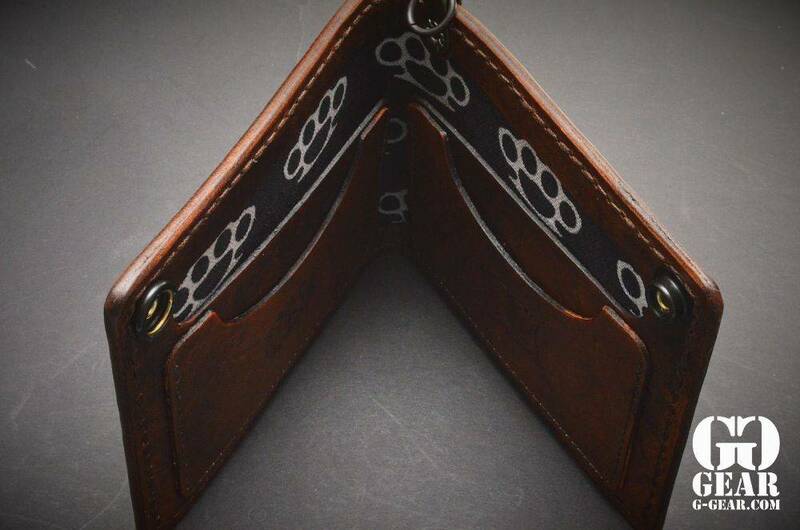 It is his mission to make affordable quality leather goods for the working class man, bikers, and our military service members. 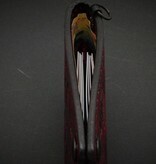 Rugged handcrafted bi-fold style wallet that is hand tooled, hand dyed, and hand sewn. 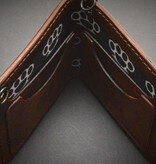 It has a chain clasp attachment for those who like to wear a chain on their wallet and snap closure. 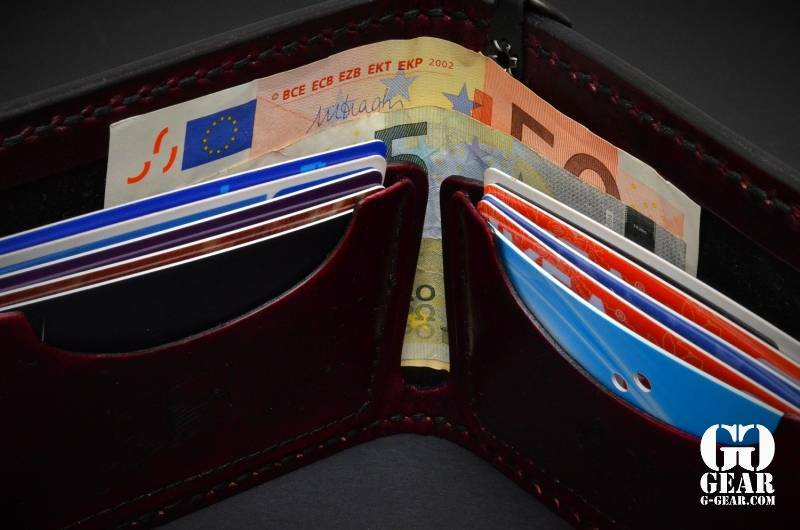 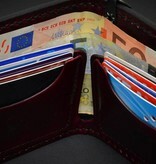 The inside of the wallet is lined with textile material with prints, and has a bill slot, and two credit card pockets. 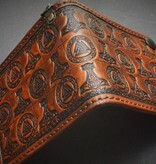 All edges are burnished smooth and the wallet is sealed then coated with Aussie wax.